Many people are suffering from stress and some are even having trouble sleeping because of anxiety. If offered prescription medicines, most of them would decline and switch to the alternative type of medicine. Why? Mostly due to the horror stories about how the prescription medicine can give such a dependence on the substance and the side effects. These terrible stories are very well documented. Luckily, there are already a number of natural and herbal remedies and supplements available on the market today. These products are guaranteed to be non-addictive and safe and will provide as great an alternative to prescription drugs as you will find. One of these natural products is the passion flower supplement. Let's first talk about the source of this supplement which is the passion flower itself. The plant Passiflora Incarnata, which is also known as the passion flower, is a perennial plant native at the Midwest and Southeast regions of North America. The plant is well known because it is proven to have anti-anxiety properties and also as a very effective aphrodisiac. Popular across the globe, the herb helps reduce restlessness, anxiety and nervousness. Can you imagine all of these benefits in just a single capsule? Sounds great, right? 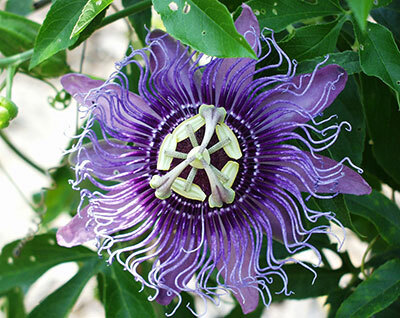 A passiflora supplement is now available in many varieties on the market today and they are all reasonably priced. In case you're wondering how these supplements work, let's take a look. These supplements are made from the extracts of the passion flower. The concentrated extracts that is present in the Passion Flower supplement gives a mild, relaxing sedative effect that does not cause excessive sedation or mental dysfunction to its user. The extracts affect the body by increasing the levels of the gamma amino butyric acid (GABA), an important neurotransmitter in the brain. It also relaxes the user by lowering the activity of some of his or her brain cells. Keep in mind that the passion flower supplement doesn't work instantly; it takes a month for its effects to reach the peak performance. The pill should also be taken regularly but with an interval of a few days every week. There are many claims that these supplements are encouraging sleep and relieving nervous irritability and it is indeed a fact. The passion flower extract has been tested and proven by many scientists across the globe. Now, you do not have to worry about wasting your money in buying an ineffective herb supplement.